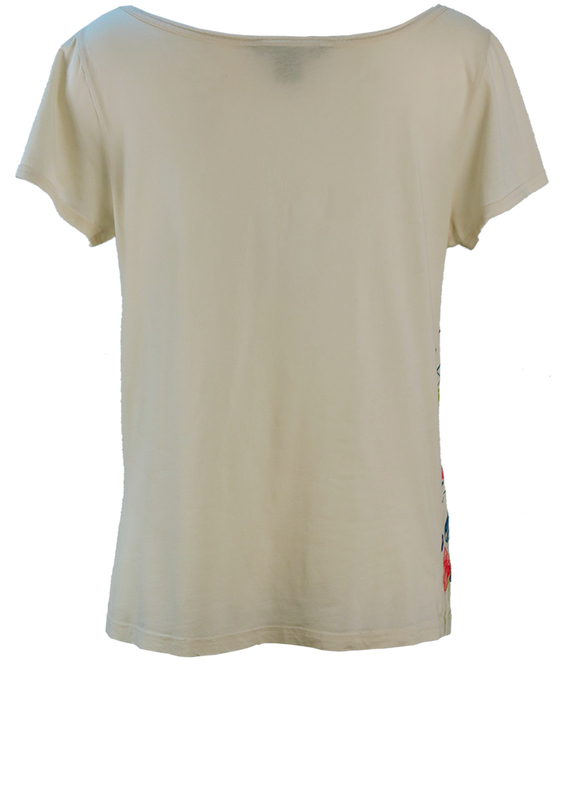 Marc Jacobs T-shirt in a soft white/cream colour tone with cap sleeves and broad v-neck detail. 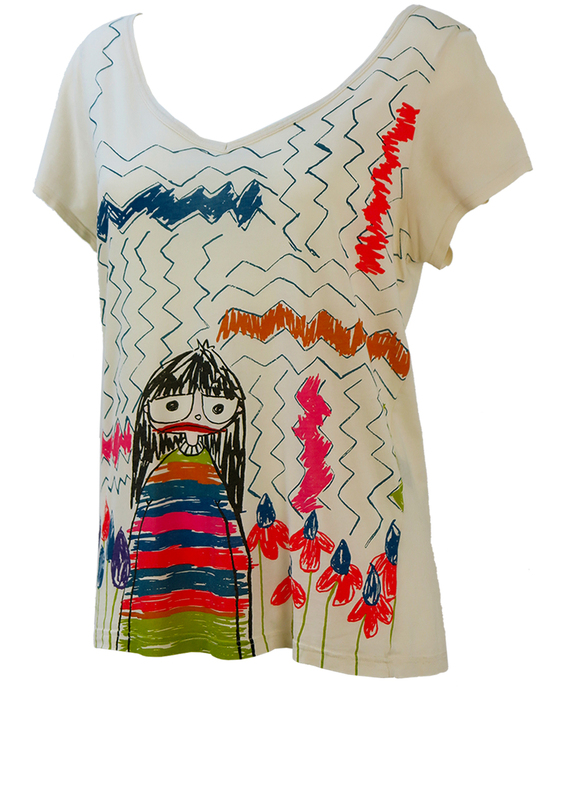 The T-shirt features a child-like cartoon drawing in bright colourways of pink, blue, green, red, and purple set against an abstract blue zig zag pattern. 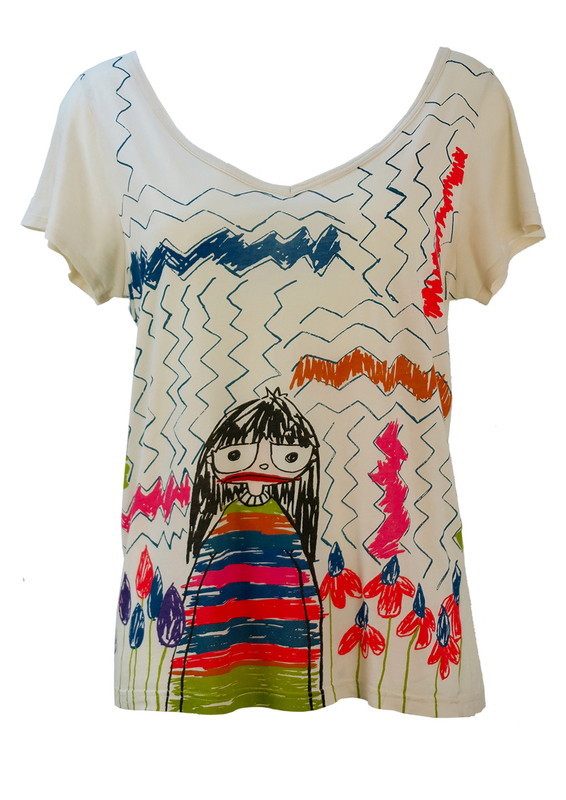 The sizing label states a size L, however we have also sized it as a possible size M for a more oversized style. 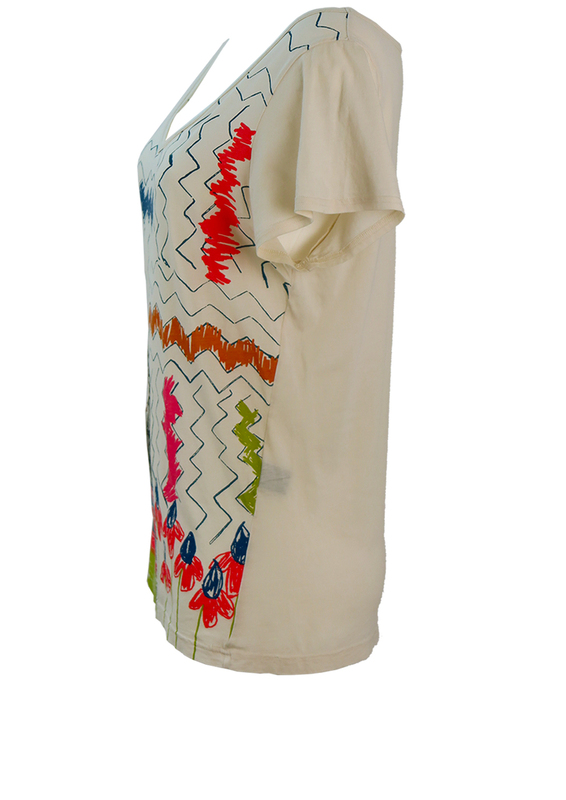 Please refer to our measurements for further guidance which have been taken with the garment non stretched. 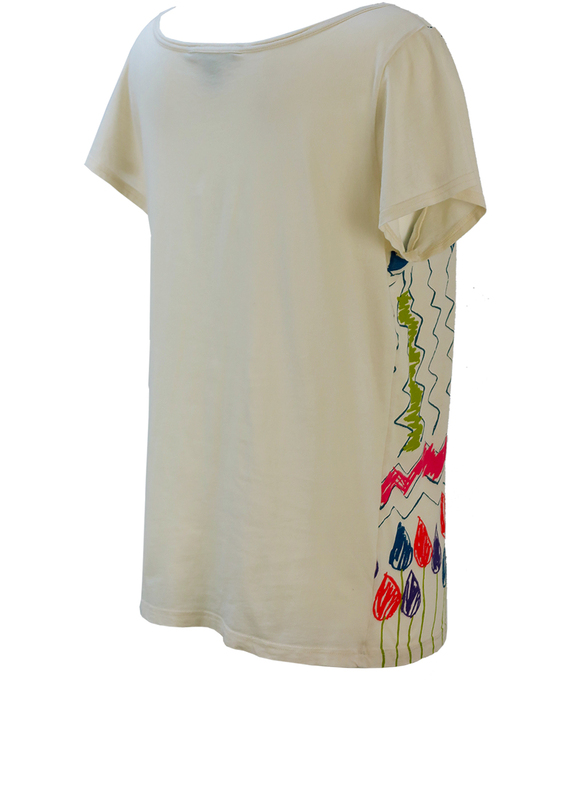 The fabric label has faded, however the top has a lightweight T-shirt fabric feel to it and is in excellent condition.